With the introduction of Sensuous in 2008, Estée Lauder created the Woody Amber fragrance category by introducing a luminous, warm and inviting expression of sensuality that captured the many facets that make today's woman so complex and fascinating. 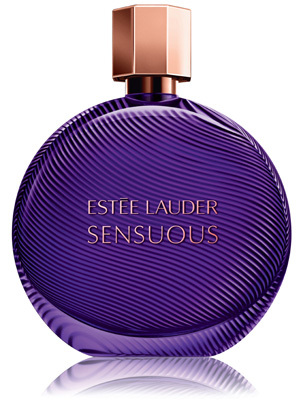 This fall, Estée Lauder will unveil Sensuous Noir, a new, richer, more intense expression of sensuality - like the soft, seductive and mysterious curves of a feminine silhouette. Sensuous Noir plunges straight into the heart of the original's signature molten woods to reveal the most evocative and feminine side of a woman. Sensuous Noir is sensuous after dark - a more mysterious and even more captivating expression of sensuality. "Sensuality as an experience and as an emotion has a very broad spectrum of expression. There are many moods, many facets, many shades of sensuality, which range from the more luminous expression of Sensuous to deeper, darker, more mysterious expressions," says Karyn Khoury, Senior Vice President of Corporate Fragrance Development Worldwide, The Estée Lauder Companies Inc. "This concept of further exploring a darker, more mysterious olfactive territory and deeper shades of sensuality inspired the creation of Sensuous Noir." Like Sensuous, Sensuous Noir is built from a core of Melted Wood NaturePrint, Honey and Amber. However, in Sensuous Noir the floral aspects have been intensified to reinforce the deeper sensuality. By adding Exotic Purple Rose, Rose Essence and Spiced Lily, a darker, midnight garden aura was created. Also, a Crème Noir Accord and Patchouli Prisma - a new extraction of an iconic symbol of sensuality -have been added to "darken" the core signature accord of the Melted Woods. Finally, Sensuous Noir increases the presence of Black Pepper, Vanilla, Amber and Benzoin, contributing to the rich darkness of the fragrance. The result is a new, even richer, sensual dimension of the fragrance that is signature Sensuous, but meant for after dark. Like the soft, seductive curves of a feminine silhouette, Sensuous Noir embodies the warm, rich sensuality of the woman who wears it. The deeply sensual Feminine Accord is comprised of Exotic Purple Rose, a symbol of passion prized for its seductive beauty and exquisite scent, blended with the rich petals of Rose Essence. Jasmine, also known as "Queen of the Night," lends its velvety petals as a rush of Black Pepper brings a spicy vibrancy to this tempting bouquet. Sensuous Noir's Seductive Accord is an enticing heart centered on a core of Melted Woods NaturePrint that yields a sleek, feminine woody signature that is unmistakably unique. Luscious and captivating Crème Noir Accord enhances the compelling presence and smooth sensation. Evocatively mysterious, Patchouli Prisma is richly faceted, yet clear, earthy and elusive. Perhaps the most sensual of flowers, Spiced Lily envelops the heart in a hypnotic midnight garden effect. In a final embrace of luxurious sensuality, the Mysterious Accord completes the dark sensuality with a blend of precious Benzoin and creamy Vanilla for texture, warm depth and a luscious, almost gourmand feeling. A drizzle of luxuriously rich Honey and glowing Amber reveal an intoxicating opulence that lingers throughout this dark and mysterious blend. Sensuous Noir is a deeper, more mysterious and even more captivating expression of feminine sensuality . . . expressed as only Estée Lauder can. Sensuous Noir is packaged in a deep, intense version of the signature Sensuous bottle to reflect this new expression of sensuality. The bottle design maintains the luxurious spherical shape, delicate fluting and sophisticated rose golden cap of the original fragrance, but features a new, deep purple hue that captures the fragrance's intense sensuality and brings greater dimension and depth to the classic silhouette. Reinforcing the impression, the exterior packaging features a coordinating, rich, deeply intense purple shade.